Pool Cleaning in St Pete — If you’re lucky enough to have the convenient and luxurious amenity of a pool, you know how important it’s to keep up with the maintenance of it. It takes work and knowledge to keep your pool sparkling clean and in the best condition possible at all times. Triangle Pool Service will provide your pool with quality care. We maintain the chemicals, mechanical components, and cleanliness of your pool, so you’re always able to enjoy crystal clear water. We offer both residential and commercial pool cleaning—no pool is too big or too small for us to perfect. For residential homes, we offer weekly cleaning services to give your pool the proper chemicals it needs. We also do water testing, vacuuming, skimming, and tile and filter cleaning as necessary! You will be proud to have guests over to share the relaxing oasis your pool provides. We also offer weekly cleaning services for commercial pools consisting of 3 visits per week. Our options offer flat rate services, including all chemical and labor work, vacuuming, skilling, tile and filter cleaning as needed, as well as a complete quarterly in-house water analysis. Our services are also available to condominium associations, property management companies, hotels, resorts, mobile home parks, private clubs– you name it. All of our pool technicians are highly trained and qualified with many years of experience in the swimming pool industry, and Triangle Pool Service is also licensed and insured (LIC# RP 0058712). Do not make the mistake of trusting any company you stumble across in the yellow pages—choose a pool service you know you can depend on to take quality care of a home amenity that provides you and your family with relaxing fun and leisure. Although pools are a wonderful asset to any Pinellas County home, they can be hard work to maintain. 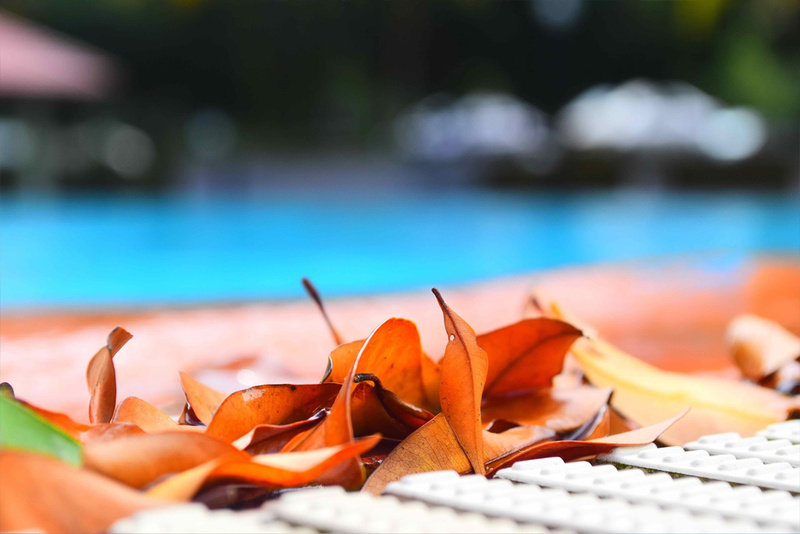 Triangle Pool Service will guarantee total care of all aspects of your pool so you will never have to stress about the maintenance of it—all you will have left to do is enjoy the crystal, clean, sparkling water. Other pool cleaning services we offer include storm damage clean up, insurance claims, special clean-ups, acid washing, and more. We base our services around your unique needs. However extensive or minimum you want your pool cleaning service to be- we can provide it for you. We work individually with each customer to make sure our clients are always satisfied and are receiving the quality service they deserve. For more information about our weekly residential and commercial pool cleaning services, call us today (727) 531-0473. We also offer pool service and repairs, pool chemicals and supplies, and commercial water management systems. Our service areas include St Pete, Largo, Seminole, Safety Harbor, Palm Harbor, and other surrounding Pinellas County areas. One month FREE after 6th paid month! Free use of Chlorine Generator! Existing Customers - Sign up your friends and receive 1 month of FREE SERVICE! When our pump went out, your service techs fixed the problem in record time! We love how clean and clear our pool is now! Thanks for all that you do Triangle Pools! We are very pleased with the service your company provides for our guest pool and spa!